Growing up in Philadelphia, Henry and his three younger brothers were raised by a mother who instilled in all of her children a strong desire to overcome obstacles and achieve greatness, no matter what life put in front of them. Little did Henry know that at the age of 12, his mother’s insight would come into play when Henry became the unfortunate victim of juvenile violence, whereby a senseless train accident resulted in the loss of both legs. Not one to give up, Henry pulled from within to move past this hurdle, creating a life for which others are in awe. Since that time, Mr. Smalls has continued to take his abilities to the highest levels possible. He has won numerous Karate championships, and has been inducted into the Pennsylvania Martial Arts Hall of Frame. The winner of numerous local championships, he has represented the state of Hawaii in several international world championships in such exotic places as Japan and Paris. Mr. Smalls has trained in Japan with some of the most famous martial arts technicians, gaining their respect by demonstrating his spiritual strength, determination, and high skill level. He has traveled throughout the United States for many years, demonstrating his ability as a martial artist and an inspirational performer. He is a practitioner of Kendo (Japanese swordsmanship) and many other martial art styles such as Iaido (the art of drawing the sword), Aikido, Karate-do, Kung Fu, Jujitsu and other empty hands forms of fighting. 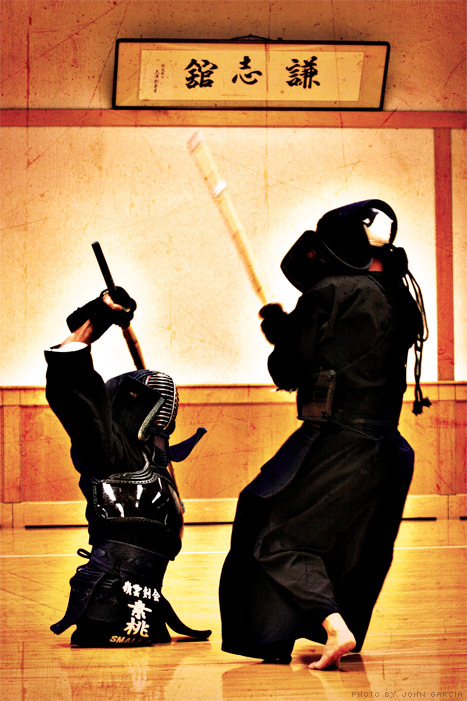 He is now one of the most recognized Kendo practitioner’s in the world. Mr. Smalls is known by the media throughout the world, and has been the subject of numerous interviews and stories for television, newspapers, and magazines. It is this media presence, coupled with peoples heartfelt reaction to his talents with the martial arts, that he began his venture in the entertainment industry. He started in production, helping with Hawaiian local public access shows, and has performed every job from working the cameras to answering phones. He progressed in his career to the point of producing his own shows featuring Hawaiian entertainers of all kinds. Then, he started acting school, and acquired a love for both the craft of acting and all aspects of filmmaking. In conjunction with friends, he began writing and developing scripts for future production. In addition to all Mr. Smalls’ other accomplishments, he has been featured in four movies (the most recent being “The Ghost” by Regent Entertainment), and has been applauded by directors and actors alike for his performance in front of the camera.